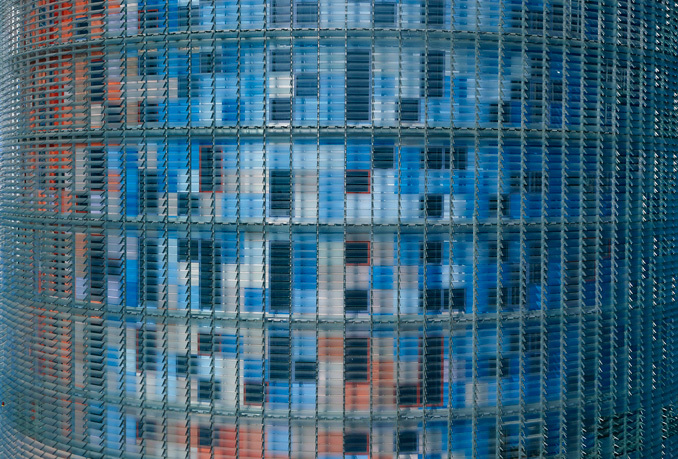 »Torre Agbar« is being awarded the International Highrise Award 2006, as it makes an outstanding contribution to the current debate on high-rises at several different levels. 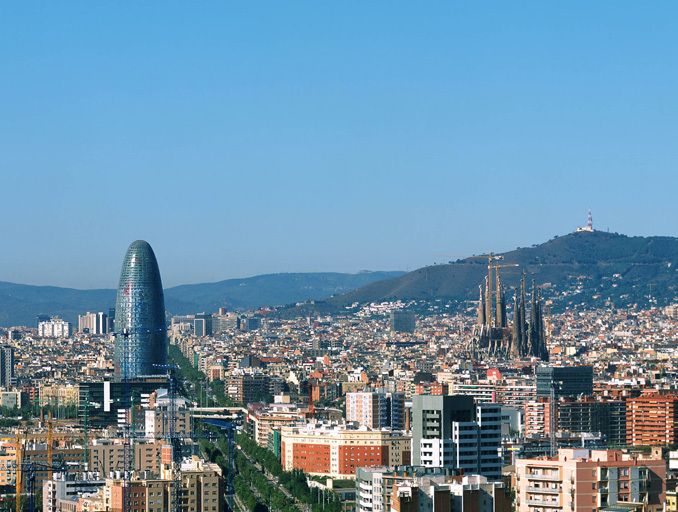 It is the symbol for the development of a new district in Barcelona. Its expressive shape, seemingly rising up out of the ground, highlights the pulsating dynamism of a revitalized quarter thanks to urban planning. The architectural form is reduced to an elementary gesture, while remaining complex in terms of geometry. A multi-layer outer skin generates its varied and exciting appearance. Unlike the customary high-rises with their glass curtain facades, the skin of the Torre Agbar responds to the hot Spanish climate. The building’s shaft comprises a concrete outer wall that is penetrated seemingly irregularly by individual window openings. In this way, the massive concrete wall provides not only stability for the tower, but also a shield against the heat. An additional outer layer made up of moving glass blinds forms a thermal buffer zone to the massive concrete skin behind it. 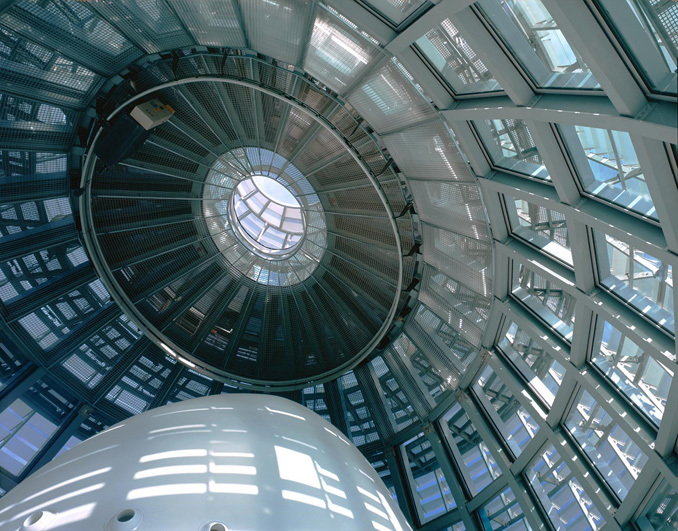 In this way, an energy-conscious structure emerges using simple intelligent means rather than great technological expense. Inside the building, the off-center arrangement of the core allows for large interconnected rooms that engender a sense of openness and a feeling of community. At night, the skin of the building radiates in colored light. The shimmering shadows of the different strata create an aura that has the feel of a colored cloud about it, enveloping the building in a »sfumato«, a mist of light that gives this magical building an appearance as mysterious as it is exciting.